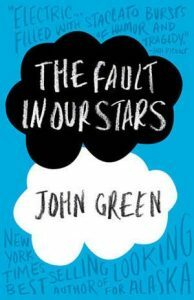 I’ve just finished watching the movie, after finishing an overnight reading of the book by John Green. Here’s my review about the book. I would like to award this book with four stars out of five. The topic chosen by the author is a critical topic that can only be dealt with care and compassion. The story is about Hazel Grace and Augustus Waters, both victims of different kinds of cancers. The main story starts off when Hazel Grace finds a blue-eyed boy staring her throughout a Cancer Support group in the literal heart of Jesus. The next scene, however, not only failed to impress me but also presented a flaw. Why should a girl suffering from Cancer who thinks she doesn’t want anyone in her life since she’d be a grenade to them, goes off to watch a movie with a boy who had been staring at her relentlessly, and who finds it metaphorical to put cigarette between his lips and encourage all those cigarette companies to give people more of the cancer saying he isn’t giving it the power to kill. It takes a while to develop a cancer from smoking, and to catch a lung cancer from smoking he would have to live many years, which he might not have owing to the cancer he already had, thus the cigarette had little chances of killing of him even if lighted. But every single pack sold means you’re encouraging the company to produce more and kill more people with it. His metaphor is ironical, no? Anyhow, I moved on to find more and more disappointing scene. For example, the kissing scene in Anne Frank museum. Hazel suggests her favorite book An Imperial Affliction to him, while he gives her Price of Dawn based on a Video game. The story progresses on to a trip to Amsterdam despite all the odds to meet the Author of An Imperial Affliction—a wonderful trip to bring them closer, but an awful trip to meet the Peter Van Houten who turns out to be a disappointment (let me skip all the details). It is after the trip the storyline stops being a complete love story and takes a sudden turn to reveal their true struggle against the cancer and how they hold their forts against it. Since it is focused chiefly on kids fighting cancer, you do get to find some scenes that involve hospital care, sickness, vomit, urine etc, but what’s more important is how the two of them, along with their families live through a difficult period. For me the end was 70% predictable, but even the rest 30% was enough to call it a good ending. That was in brief about the storyline. Now, about the characters. In my opinion, more could’ve been done to characterize Hazel Grace and Augustus both. They are pretentious, unfitting, and difficult to love. I have many questions that I could ask Hazel Grace about why she did this or that. Overall she fits the shoes of Mary Sue. Augustus, on the other hand, was only slightly better, yet difficult to like. Other character Issac, Peter Van Houten, their families, were, however good. There were moments where I couldn’t avoid a laugh, or hide a smile, or avoid the emotions from being invoked. The story-telling pace was good, even if interrupted by some difficult-to-place and difficult-to-comprehend monologues. Overall, it as a good read, with both its positive and negative aspects. I’m sure if you’re not looking for perfection you would find The Fault in Our Stars equally great. Kishor Kumar is a blogger, writer, entrepreneur, enthusiast learner, and occasional web designer. He is founder of zigverve.com, bookswriters.org, PastelRed.com and zigreads.com. He is also the owner of Scarlet Pink, a Clothing Outlet for women. ‘There’s Something About You’ by Yashodhara Lal certainly makes for an entertaining, light read. The story revolves around Trish. Now, Trish is a twenty-eight year old girl, recently unemployed, overweighed, single girl, who hides behind her sarcasm to cope with the world. How to improve your writing skills with these simple but effective tips? There is hardly anyone who isn’t familiar with Ramayana. There have been several TV series directly or indirectly based upon the same epic storyline, and as a book too this isn’t the first effort (of course the Valmiki’s Ramayana and Tulsidas’ Ramcharit manasa were the original ones). How Can I Improve My Writing Skills? Who loves fat? I guess no one. “The Secret Life of Fat”, an enlightening book by Sylvia Tara answers all of our questions related to fat. After reading the book no one is going to look at fat the same way they did before. And, hopefully, the new insight into fat is going to help them a great deal. I highly recommend this book to anyone and everyone. Books & Writers is a community for book lovers, aspiring writers and established authors. Here you will find awesome but honest book reviews. You will also find valuable, trustworthy writing tips from writers, authors and publishers. And, well, last but not the least, this community is also a showcase to present your book to the world. © Books & Writers. All rights reserved.